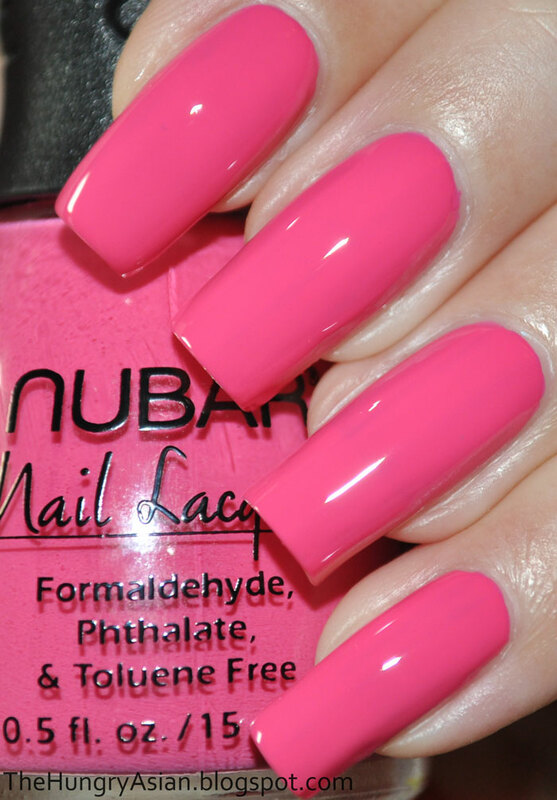 This is Nubar's spring collection, aptly named Spring Garden. 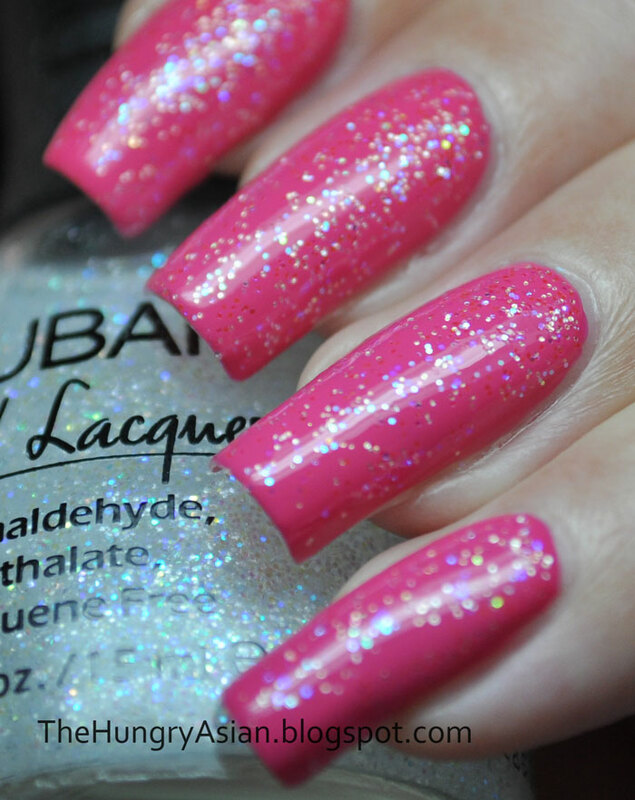 It is an 9-piece set of soft pastels and a glitter topcoat. Purple Aster 2 coats. 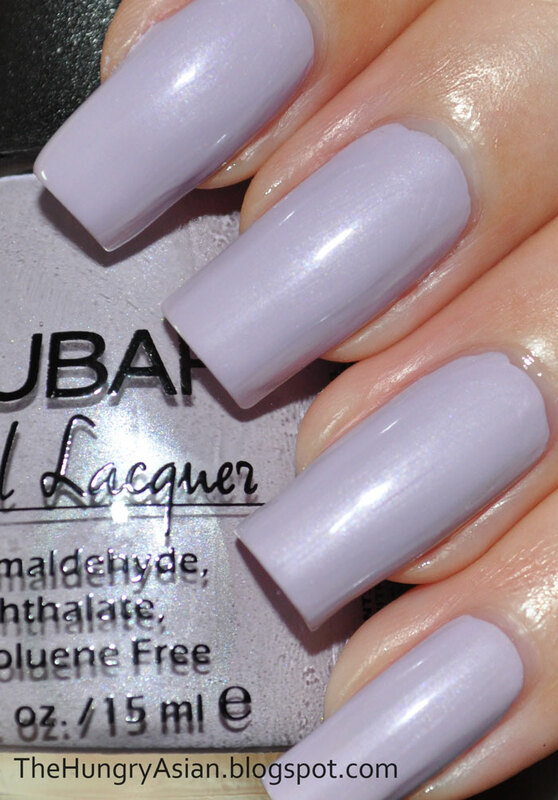 Lilac pastel with a pearly shimmer. Baby Sprout 3 coats. 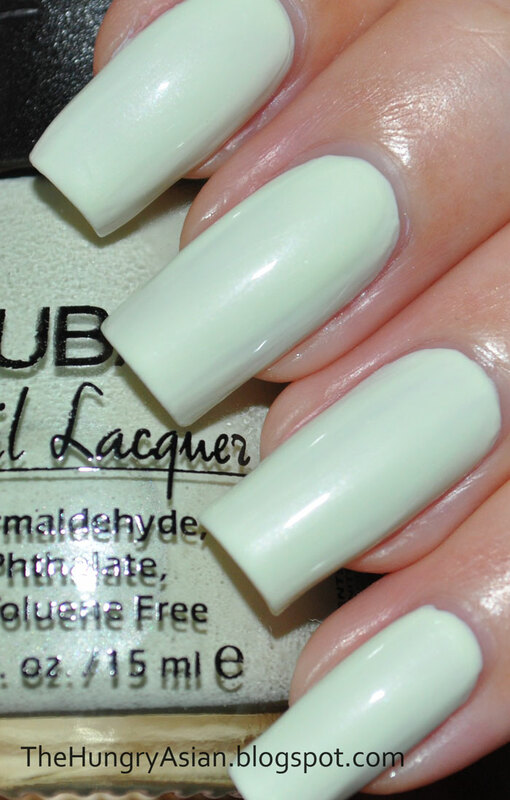 Pale mint green with a subtle shimmer. 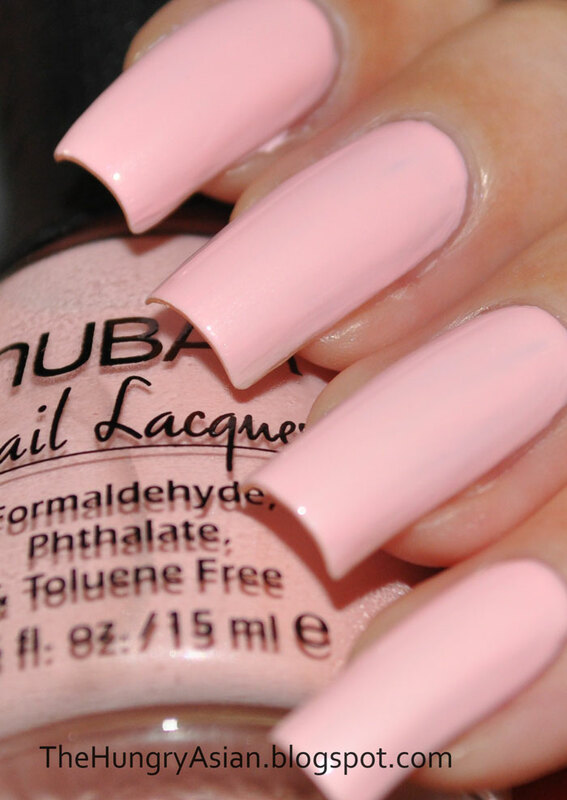 Pink Lily 3 coats. 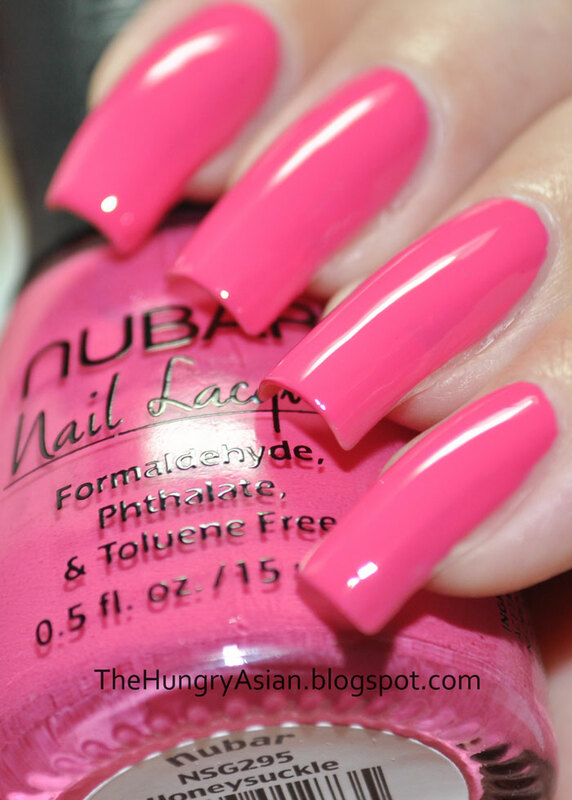 This is a bright pink with a subtle shimmer. 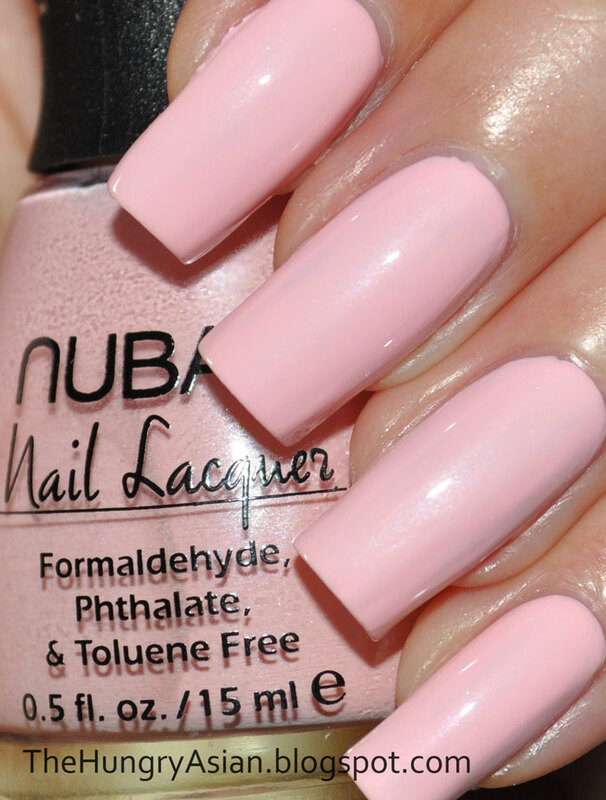 I love pinks and this one is lovely but it gave me lobster hands. Yellow Primrose 3 coats. 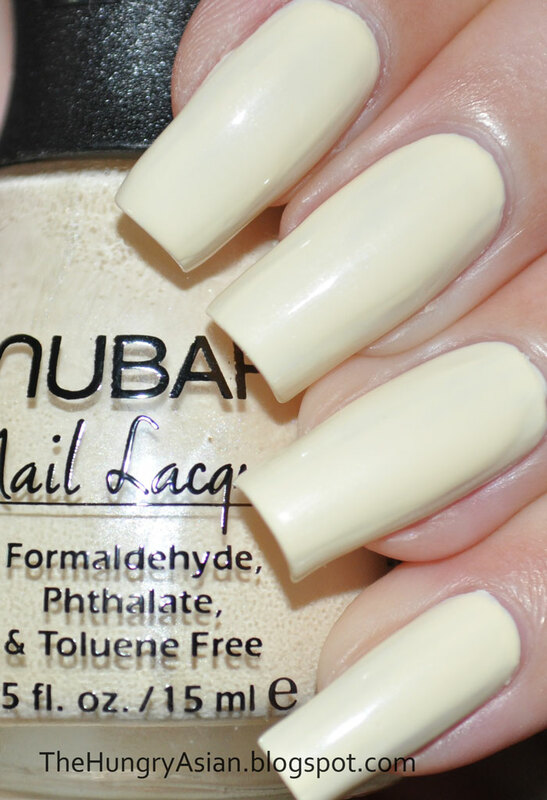 Soft muted yellow with a pearly shimmer. This one was a little streaky but in person you can't see it, macro shots are so unforgiving. Blue Hydrangea 3 coats. 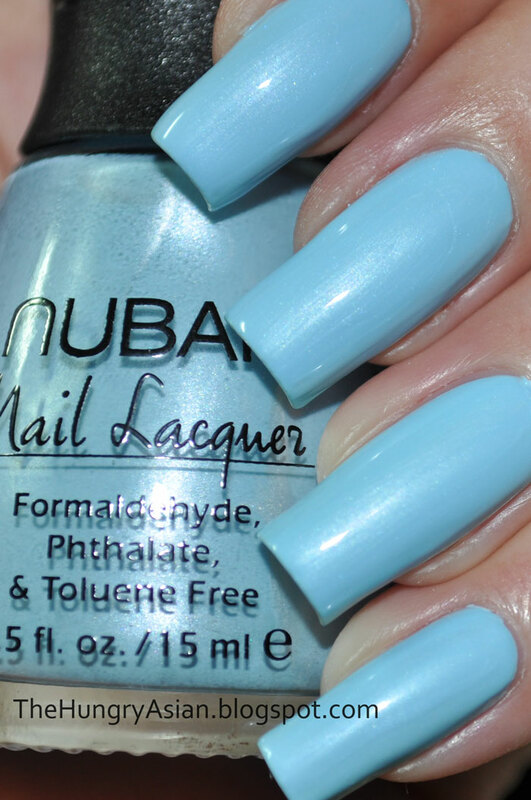 Pale blue with a pearly shimmer. Earthen 2 coats. Light taupe with a pearly shimmer. This kind of taupe color is very dupable but the shimmer keeps it interesting. Honeysuckle 2 coats. My favorite out of the collection, Honeysuckle has a squishy jelly-like finish but is opaque so no visible nail line. The only shade in the collection without a shimmer. I can't wait to wear this one again! 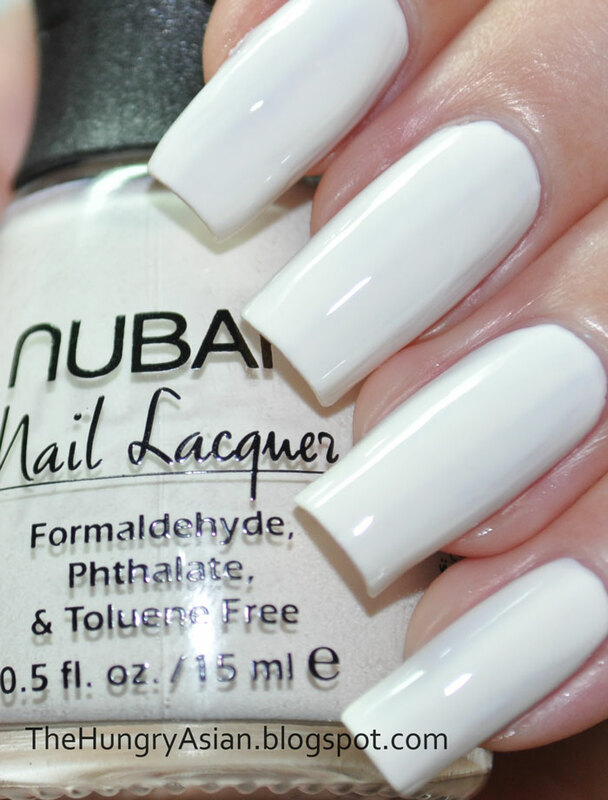 White Peony 3 coats. Soft muted off-white creme. I believe this is supposed to have a faint shimmer to it as well but I cannot see it so it must be very subtle. Dewdrop 1 coat over Honeysuckle. This is very sheer worn alone but gives a nice sparkle worn over any manicure. I think all the colors are great, they seem a bit blah at first glance but it's that shimmer finish that is in all the shades (except for Honeysuckle and maybe White Peony) that sets it apart from your average spring collection. My favorites were Honeysuckle and Baby Sprout. I thought the formula was a bit difficult to work with. With the exception to Earthen and Honeysuckle I found them to be thin and streaky. You may need a little bit of patience with some of colors but nothing that a 3rd coat won't fix. Overall a good spring collection, it reminds me of warm weather and sunshine! You can get this collection from bynubar.com now.